A nurse at the University of Virginia Medical Center was nominated for a prestigious award this year. He did something that took less than a minute but made a big difference in the lives of healthcare professionals whose patients died. The goal of doctors, nurses and other medical professionals is to keep people alive, but sooner or later they will lose that battle. And when that happened, emergency department nurse Jonathan Bartels could see his colleagues shutting down – repressing their emotions. For the sake of good mental health, he thought it would be better to take a moment – to pause and reflect. “The practice itself is to just stand and acknowledge the loss, acknowledge the work that we’ve done, to honor the life that lived in our own way and in silence. So it allows for a multi-cultural approach to a difficult situation,” he explains. Bartels called this modern-day medical rite The Pause. Two years ago he told a reporter for NPR that his colleagues appreciated the gesture. 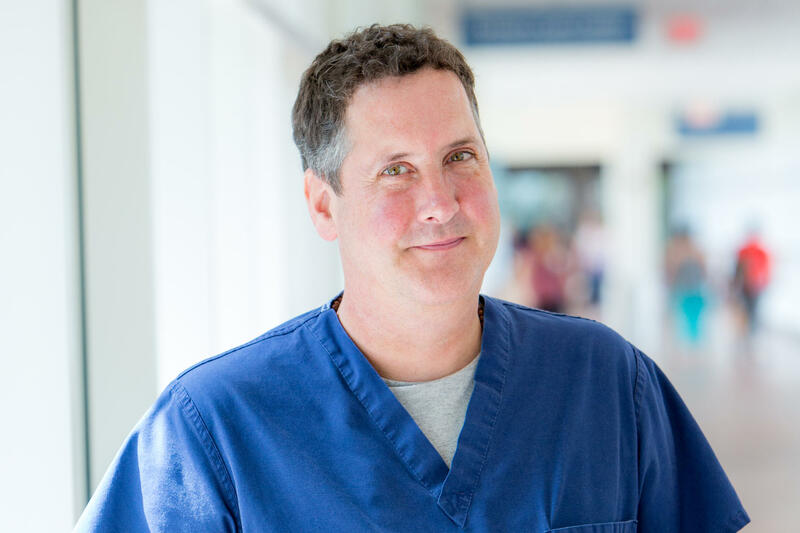 UVA nurse Jonatahn Bartels created a new way to honor patients. It's called The Pause. And this year he was honored by the Schwartz Center in Boston – one of six people nominated for the Compassionate Caregiver of the Year award. “They have 1,800 people from across the country that come. I likened it to being like the Emmy’s of compassion,” he says with a smile. But the real satisfaction for him comes in knowing that many medical centers are beginning to adopt The Pause – making it part of their hospital’s culture. You'll find more information at https://thepause.me/.